Hydrogen peroxide (H2O2) is a powerful oxidising agent. It gives rise to agents known to be effective bleaching agents. The mechanisms of bleaching involve the degradation of the extracellular matrix and oxidation of chromophores located within enamel and dentin. 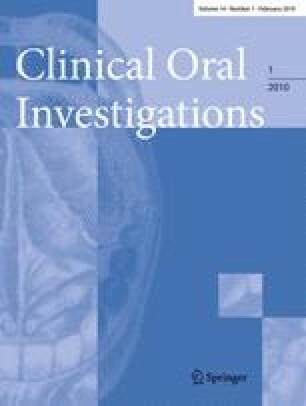 However, H2O2 produces also local undesirable effects on tooth structures and oral mucosa. In clinical conditions, the daily low-level doses used to produce tooth whitening never generate general acute and sub-acute toxic effects. Genotoxicity and carcinogenicity only occur at concentrations that are never reached during dental treatments. Some transient adverse effects have been reported on the oral mucosa and the digestive tract if the product is swallowed. Local effects may occur on the oral mucosa and dental tissues during whitening, namely, pulp sensitivity, cervical resorption, release of selected components of dental restorative materials, and alteration of the enamel surface. Most of the local effects are dependent of the technique and concentration of the product so far used, but as the results of bleaching obtained are not stable, repeated treatments add to the adverse effects. The informed decision to administer or not and the control of bleaching effects should stand in the hand of dental surgeons and certainly not as it appears at present, as cosmetics sold without any restriction despite the potential health hazards of peroxides.